Ask fellow campers about "Shiloh on the Lake" and nearby attractions. We had a pull-through so parking our 38' toy hauler was super easy. The staff was very helpful and brought free wood to our site each day. Our children & grandkids stayed in cabins close to our site which enhanced the trip even more. 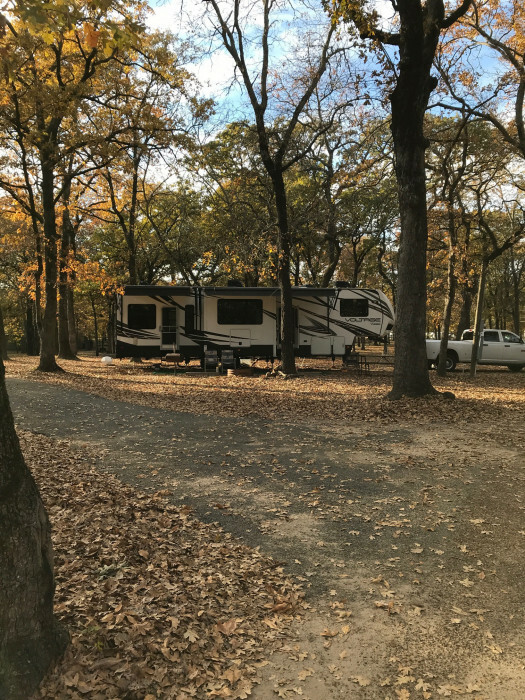 We camped at Shiloh on the Lake in a Fifth Wheel. We made reservations for 14 nights on-line by looking at photos on their web site. After we got there we found that most all the sites are dirt with very little grass anywhere AND the sites are VERY close together. The restrooms/showers, while clean, looked as if they were built in a hurry without thought of craftsmanship or looks. The staff we met were all VERY nice, helpful and accommodating and the onsite laundromat was well kept. Though the provided fishing pier was nice there was NO parking other than at your own campsite, which in our case, was some 75 yards away. You could take your vehicle down to unload your fishing equipment but then you had to take it back to your site and walk back to the pier. Also, the site they gave us and had one of their employees lead us to was at such a position that we could not pull out of it when we got ready to leave, we had to go across the road through another site that was vacant to have enough room to turn. 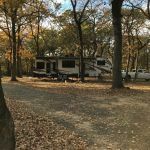 We camped at Shiloh on the Lake in a Travel Trailer. Are you affiliated with Shiloh on the Lake ?